The B Charmer Journal: Happy to Me! We are having baby's party this weekend with family. But, we let him pick dinner last night. 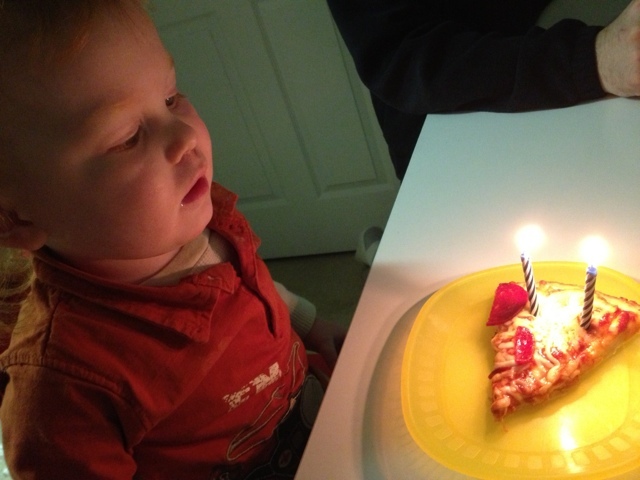 He picked pizza, and we had to have birthday candles! He said many, many times, "happy to me!" Yes little love...much happiness to you.